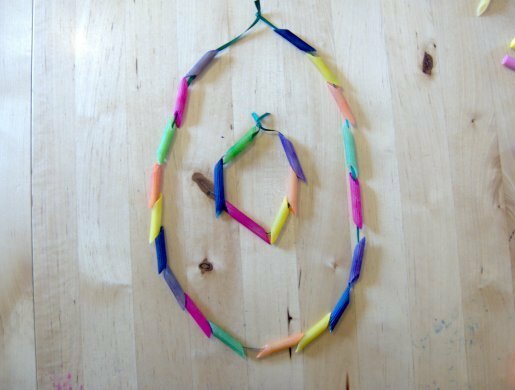 This is so easy to make and is suitable for boys and girls. Girls will love to dress up and put on jewellery and make-up just like mum. Boys will make an adventure pretending they are explorers or Indians with a string of teeth around their necks. These also make lovely gifts for a younger child to give, everyone loves a homemade present. 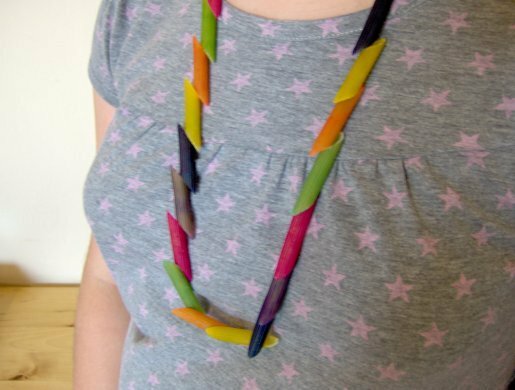 Children should always be supervised when wearing pasta necklaces, please make sure that the necklace or bracelet can be easily slipped off and that the thread used can be easily broken if needed. 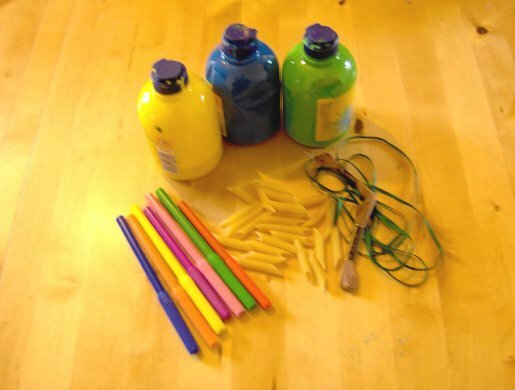 The pasta can be left natural or painted. 1. 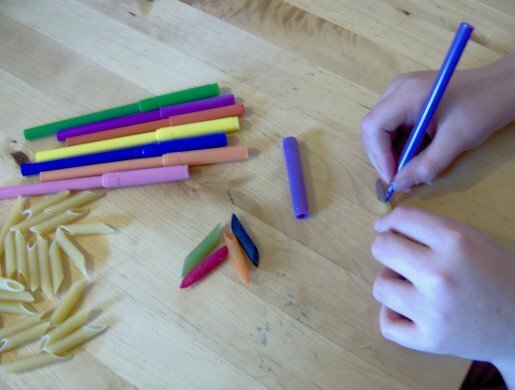 Paint the pasta using felt-tips or paints and leave to dry. 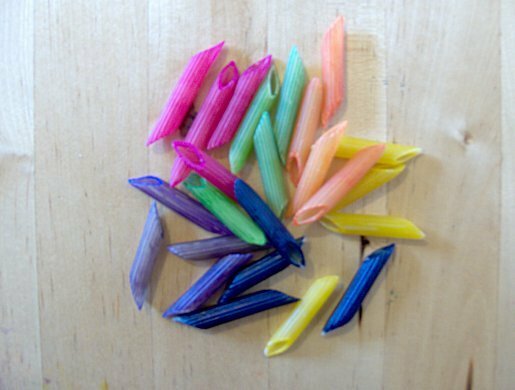 Your fingers will get messy while you are colouring the pasta, but once the pasta has dried, the colour shouldn’t come off the pasta. 2. 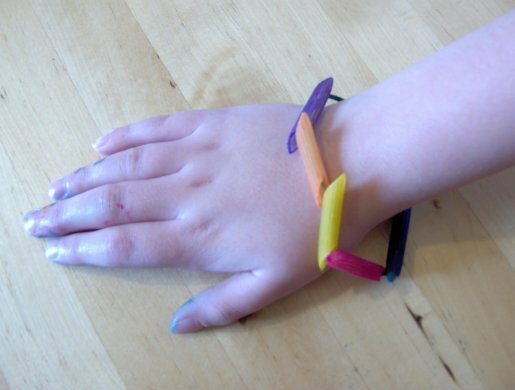 Measure a piece of thread for the bracelet or necklace and cut it about 10cm/3inches longer than you need so that it will not be tight and so that there is enough room to tie a knot in the end. Always make sure the necklace can be easily slipped over the head and that the bracelet will easily slip off the wrist. 3. 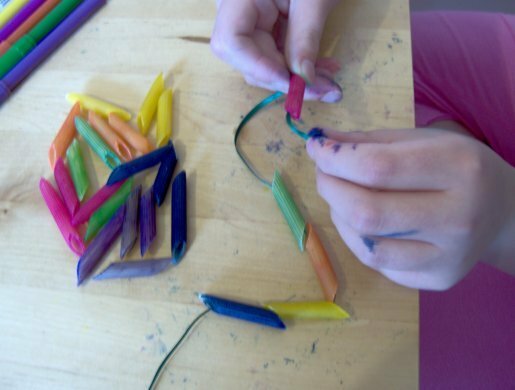 Choose your coloured pasta and holding onto one end of the ribbon, thread on the pasta leaving some so that the two ends can be knotted together. 4. Bring the two ends of thread together and tie a bow or a knot.